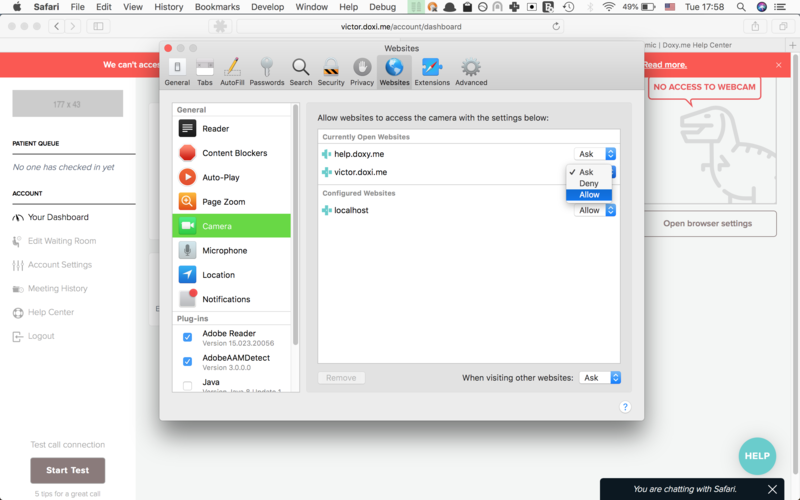 To have a call on Safari, you need to provide access to your webcam and microphone. This usually only needs to be done once. Change the settings to "Allow". If you accidentally hit "deny" when prompted, reload the page and hit "allow".